NOTE: Androgenix Health, Inc., does not feel that it is safe to treat men younger than 30 years of age with Testosterone Replacement Therapy (TRT). Androgenix Health understands that as a potential patient / client receiving testosterone replacement therapy (TRT) and/or supplemental vitamin/mineral replenishment, you probably have questions and concerns about the benefits and risks of treatment and the health goals that our clinic makes great efforts to acheive with our patients. Testosterone Replacement Therapy (TRT) is not a “fountain of youth” medical treatment, nor is it for every man. At times even with our (and your) best efforts, TRT may not work for you. You should always feel that you are making an informed and responsible decision to begin and/or continue with your treatment at Androgenix Health. Androgenix Health's mission is "Healthy Male Hormone Optimization." Our therapy assists the whole male patient in recovering and replenishing his optimal testosterone, vitamin/mineral and nutritional levels. Thereby, restablishing and improving the desired quality of life and health of each patient. Androgenix Health accomplishes this with an evidence-based approach rooted in our commitment to a Responsible, Balanced, and Restorative treatment program that is individualized to each patient's needs and goals. Androgenix Health is dedicated to serving the health interests and goals of our patients. In so doing, our clinicians will never treat when it is unecessary or outside of our medical protocols for hormone replacement therapy, vitamin/mineral supplementation or medical specialty. Moreover, we know and understand the signs and symptoms of low testosterone, as well as insufficient vitamin/mineral levels and how a man is probably feeling upon his initial visit to the clinic. Therefore, compassion, kindness and a dedication to helping our patients contributes to the trust and honesty (from the start) that is necessary and indeed central to the clinician-patient relationship. We will always honestly inform the patient about any findings on physical exams and labs. We are always upfront and informative about any treatment modalities, their risks as well as benefits, including whether or not no treatment at all is better. In this way we empower patients to make their own informed decisions concerning their health and well-being. Androgenix Health will never treat when it is unnecessary, or outside of our medical protocols for hormone replacement therapy, vitamin/mineral supplementation or medical specialty. Juan Riojas, PA-C, MPAP - is ANDROGENIX HEALTH’s Clinical Director and holds a Master's Degree as a Master of Physician Assistant Practice from the University of Southern California Keck School of Medicine (2010). 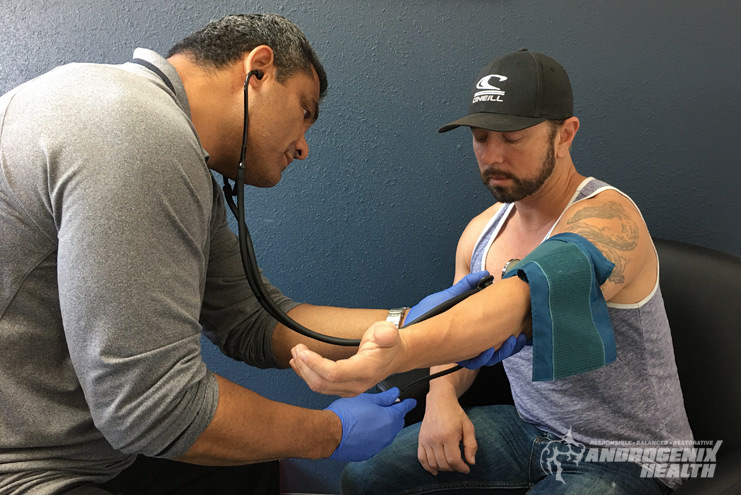 Prior to opening up ANDROGENIX HEALTH, Juan lead the way at another Men’s Clinic in Los Angeles where he helped to successfully build that business’ name and reputation along with helping them to create their treatment protocol. 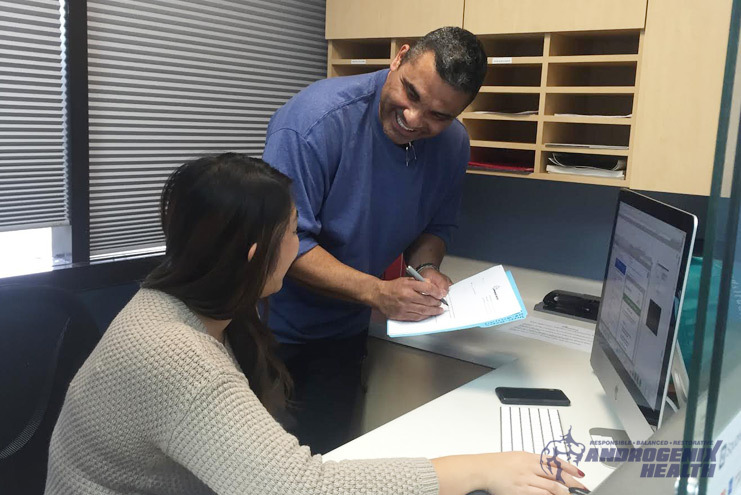 When it comes to ‘how’ to treat a patient, Juan does not cut corners; his approach is to deliver a completely personalized treatment regimen for every one of his clients that is tailor-made for that individual. This approach is ultimately what sets Juan and ANDROGENIX HEALTH apart from virtually all other Men’s Clinics. Juan has the kind of personality that people naturally gravitate to, and you will discover this when you meet him. His knowledge and expertise are second-to-none, and more importantly, Juan's forward-thinking approach to Healthy Male Hormone Optimization is to help you to become the best 'YOU' you can be! Damon Raskin, M.D., Medical Director - is a leading board certified internist and Diplomate of the American Board of Addiction Medicine in Pacific Palisades, CA. Treating patients in his private practice since 1996, Dr. Raskin has earned a reputation for exceptional patient care and effective individualized treatment. Today, through cutting edge and compassionate techniques, Dr. Raskin helps his patients maintain and regain their health. He also contributes regularly to local and national television broadcasts. Most recently, he has appeared as a medical expert on Good Morning America and Nightline. Fellas - it's no secret that we hate going to the doctor; it's uncomfortable, we don't relate to the Dr; they're always telling you to stop eating this or drinking that, or that you need more of this and less of that - it's not our favorite thing. Because of this, many of us go without proper medical and health guidance.